The first step toward sobriety is acknowledging and accepting that you have an alcohol problem – but how do you define a “problem?” According to the National Institute on Alcohol Abuse and Alcoholism (NIAAA), you may have an alcohol addiction when drinking alcohol repeatedly causes you distress or harm. And depending on the severity of your symptoms, you may also have an alcohol dependence. Drinking alcohol has become part of the fabric of our society. But all too often, what starts out as moderate, recreational drinking changes rapidly into alcohol abuse and addiction. Alcohol addiction is characterized by the compulsive need to drink despite the negative consequences it has brought on your life. Addicts experience cravings for alcohol, and often have no control over limiting how much they drink. Over time, people with an alcohol addiction will develop an increased tolerance for alcohol, meaning they’ll have to drink more and more to achieve the same state of inebriation. As that tolerance builds, your brain chemistry can change, creating a debilitating alcohol dependence. In severe cases, you may experience high blood pressure, hallucinations, or seizures. Though the two conditions are often linked, alcohol addiction can exist without alcohol dependence. 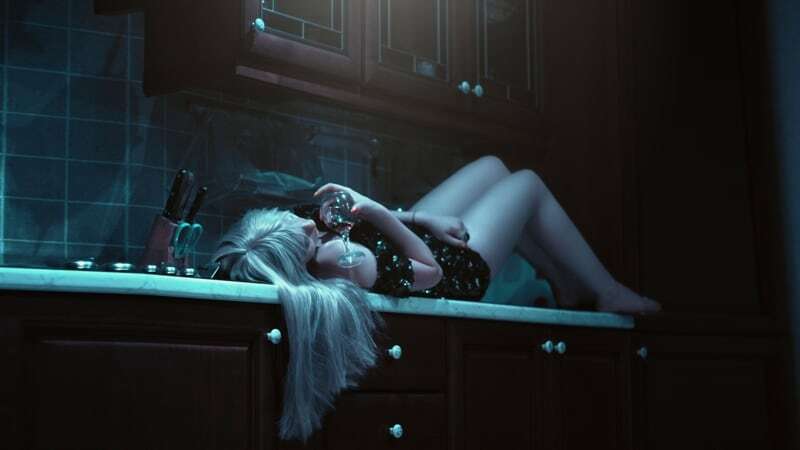 Some people who are addicted to alcohol may not think they need treatment for their problem because they don’t need to drink to function physically, and their lives appear to be in reasonable order. For example, high-functioning alcoholics are usually able to keep up appearances, hold down a job, maintain relationships, and pay all their bills on time. Their ability to “keep it together” often causes them to be in denial about their situation, even when they’re falling apart behind the scenes. The choices you make while you’re under the influence of alcohol can put your life at risk. These include drunk driving, unsafe sexual encounters, and careless actions that result in accidental injuries. There are many diseases that result from prolonged heavy drinking, including heart disease, liver disease, pancreatitis, and several types of cancer. Chronic drinking can lead to changes in your brain chemistry that cause serious bouts with depression, although it’s important to note that many people with depression often turn to alcohol to self-medicate as well. Studies have shown that long-term drinking can cause nutritional deficiencies and brain damage that lead to dementia as you age. At the Pearson Center for Alcoholism and Addiction Research, we know how hard it can be to admit you have a problem. If you’ve been struggling with alcohol abuse, our treatment study can be your first step toward sobriety. Using cutting-edge research from some of the top scientists in California, our study complements and reinforces traditional treatment by focusing on the physiological changes within in the brain. Our research is designed to help people with alcohol addiction to stop drinking and start leading healthier, more productive lives. To find out more about our alcohol treatment study in San Diego, call us at (858) 784-7867.